Staying comfortable in your own home or place of work is absolutely essential. For over 30 years, we have made it our business to make sure that our residential and commercial customers have exactly what they need to lead healthy, comfortable lives. We do so by offering a number of high quality products and services, including heating, air conditioning and indoor air quality, as well as pool heaters. From the installation of new central air units, heat pumps and furnaces to the replacement of dehumidifiers and ductless mini splits, we can find something that’s right for your space. Not only do we install and replace products, but we can also provide you with excellent repair and routine maintenance services. Whether you find that your residential or commercial HVAC system has broken down completely, it makes a strange noise, or it’s highly inefficient, we can be there in no time to provide you with a solution. There’s no problem too large or small for our team. Moreover, if you want your HVAC system and auxiliary equipment to work as promised throughout the years to come, then make sure you have our technicians maintain it from time to time. Contact us today for more details. We like to make ourselves available to our customers. Here in the Sunshine State, the climate can certainly take its toll on your residential and commercial HVAC equipment, and when you need a service technician, sometimes you just can’t wait. Our office hours are 7 AM to 7 PM, Monday through Saturday, and we also offer a 24/7 emergency repair service in the event that something goes wrong after normal business hours. By being flexible, we can make sure that our customers have everything they need, and never hesitate to give us a call if their system breaks down or they want to hear about our new stock of dehumidifiers. When you call us for service, you can count on our technicians wearing white–collared shirts bearing our company name as well as the name of that technician as well as boot covers to avoid a mess. Customer service is not only about technical expertise, which we have in abundance, but also about the customer experience. All of our service technicians and installers are factory–trained, EPA–certified indoor air quality experts. 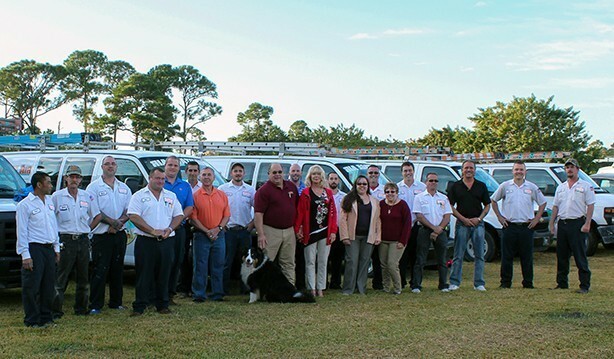 We are also a Rheem Team Top Dealer, a Mitsubishi Diamond Dealer as well as the oldest Trane dealer on the Treasure Coast. Our "Voice of the Customer" satisfaction scores are sky–high, so let us do what we do best for your home or place of business. Contact our friendly staff today to learn more about our products and services.